Meet Mr Pusskins. He’s got cattitude! From the moment Mr Pusskins spies the prize for Best-Looking Pet, he is smitten. He just has to get his paws on that trophy, and nothing, NOTHING is going to stand in his way! Not even that vain, double-crossing poodle, Madame Fifi Fou-Fou. Whatever happens next, you know that fur is sure to fly! This hilarious romp starring the world’s grumpiest ginger cat won the Roald Dahl Funny Prize 2009. 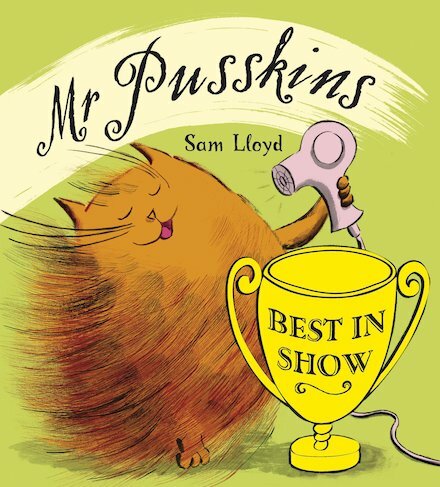 Sam Lloyd has won the Book Trust Early Years prize for Mr Pusskins, and the Roald Dahl Funny Prize for Mr Pusskins Best in Show.